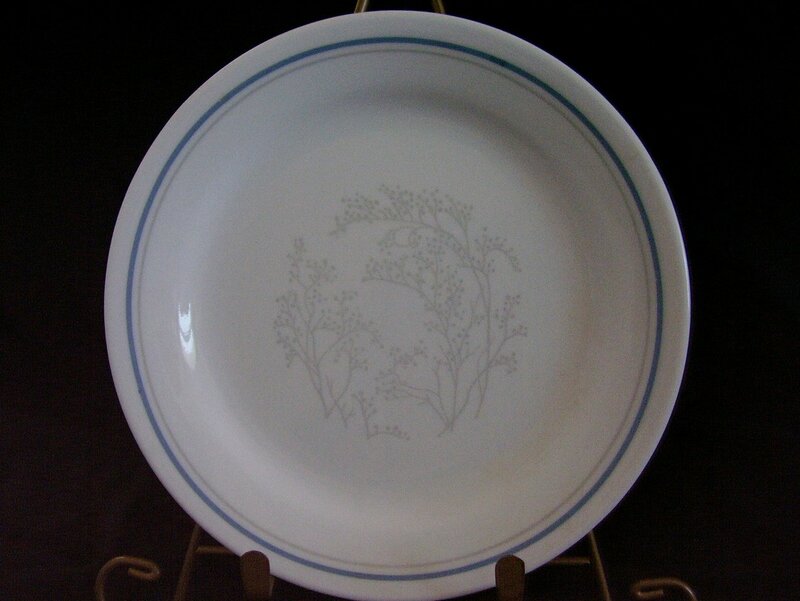 Corelle Queens Lace Bread and Butter plate. Corelle Queen's Lace has been retired. White plates with decaled grey or gray Queen Annes's Lace in the center. Rims are banded in grey and blue. 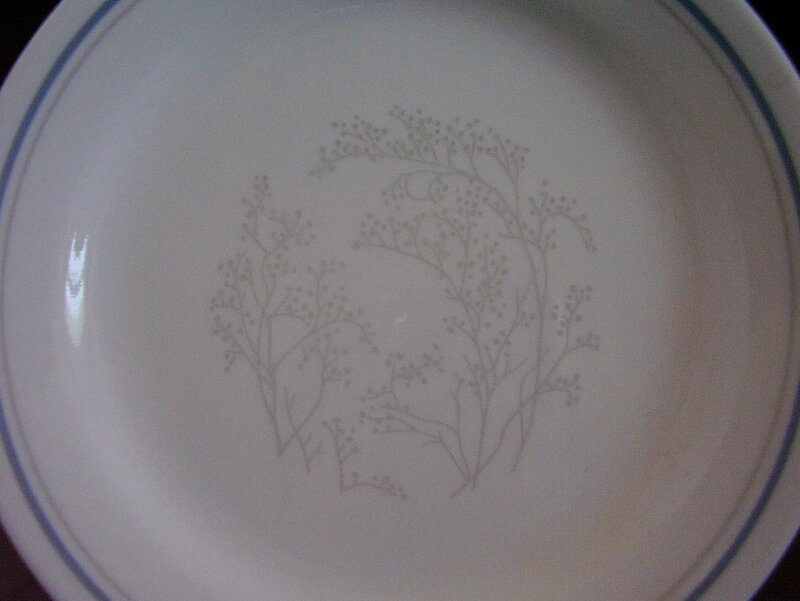 Corelle Queens Lace Bread and Butter plate. Corelle Queen's Lace has been retired. White plates with decaled grey or gray Queen Anne's Lace in the center. Rims are banded in grey and blue. Microwave and dishwasher safe. In very good used condition, it has no cracks, chips or scratches. Decals are bright, shiny and intact. Measures 7 1/4 inches in diameter. There are extras available.